Spring brings a brand-new batch of motorcycle riders hitting the road! Motorcycle riding can be an exhilarating hobby and a fun way to enjoy the season but when it comes to riding, safety is always number one. With very little protection between rider and road, even a minor accident can be major. 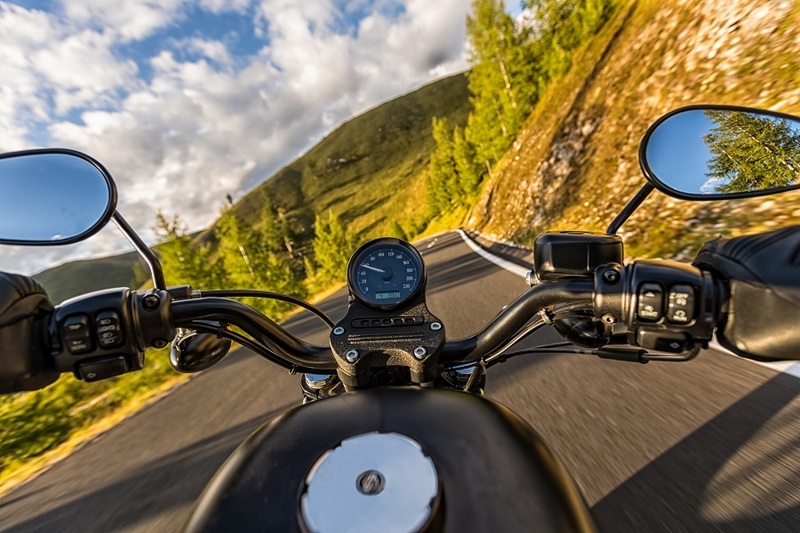 Vehicles around riders need to drive with caution and courtesy, giving motorcycles plenty of space and patience but primary protection and rider safety ultimately falls on the rider. If you are a new rider, you should be excited for the exciting, fun-filled season – but safety first! Here are a few motorcycle safety tips to take with you as you start your new obsession. This is probably the most common piece of advice given to motorcyclists but that is because it is the most important. Motorcycle helmets save lives! Helmets save the lives of approximately 1,500 to 2,000 riders each year. The use of a helmet cuts the risk of death during an accident by 37% and reduces the chance of brain injury by 69%. If you’re carrying a passenger, make sure they put on a helmet too. A helmet isn’t the only gear motorcycle riders should wear. Before you hop on your bike it is important that you are dressed for the part too. Always wear a jacket, pants, boots and gloves with heavy padding when you go out for a ride. This kind of attire will ensure if you do get into an accident or take a spill you will be well protected. Just like your car, it’s important to regularly maintenance your motorcycle. Check your owner’s manual for the manufacturer’s recommendations for when you should take it in for major maintenance but in between then you should also get in a habit of checking for regular wear and tear. After every ride, check the condition and air pressure of your tires as well as the condition of chains, brakes and other essentials. Be sure to keep your tire pressure at the recommended psi. Also, much like a car, motorcycles can benefit from regular oil changes. About every 3,000 miles it’s good to have your oil changed to keep it running strong.